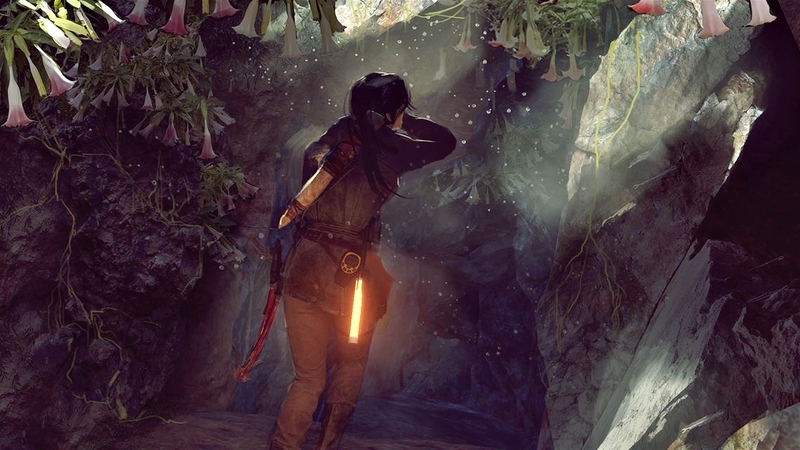 The Tomb Raider video game series has always drawn its inspiration from real-world archaeology and mythology as well as classic works of literature and cinema. 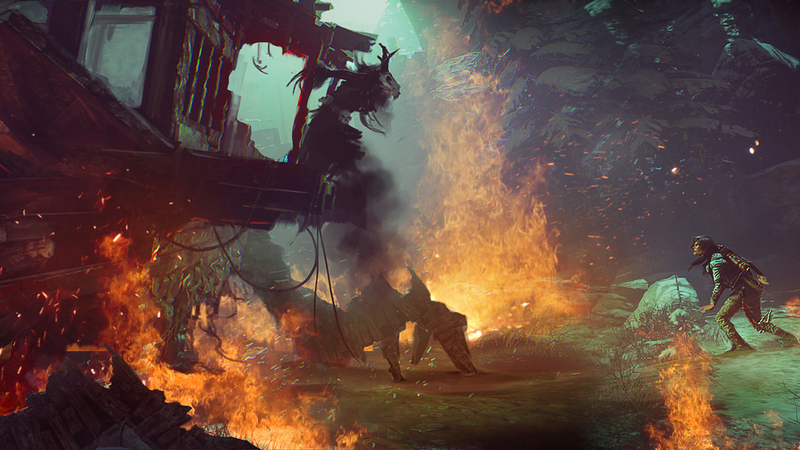 In the well-received Rise of the Tomb Raider DLC, Baba Yaga: Temple of the Witch, gamers were invited to explore the Wicked Vale, a nightmarish landscape said to be home to a mythical witch. I asked Cameron Suey, the writer and narrative designer for Baba Yaga, about his work on the DLC, his thoughts on the use of horror elements in the reboot Tomb Raider series, and his chief sources of inspiration for his unique take on the classic Slavic tale. Q. In the Spawn on Me podcast you took part in last year with John Stafford, you mentioned that the “Heart of Darkness” series of documents was your way of shoehorning a horror story into Rise of the Tomb Raider. Did you feel the reboot series could benefit from adding a little horror into the mix? One of the things that stood out for me when I played Tomb Raider (2013) was how strongly I leaned on the horror from the opening sequence, and throughout the rest of the game. I really thought it worked for the more isolated, dangerous tones the game was shooting for. Part of the franchise’s appeal has always been the fear of the unknown and almost all modern archaeological adventure tales are rooted in pulp stories known for blending elements from multiple genres. But I really loved what the team did in TR 2013 by really making some of the horror front and centre. The story of Rise of the Tomb Raider was a little more detached from the elements that made horror such a natural fit for Tomb Raider (2013). You have Lara deliberately going into danger for the first time, and the core myth was less obviously rooted in horror fiction elements such as bodily possession. It totally makes sense that Rise has less of an overt horror tone than the previous reboot game, but if I’m being honest, horror is my first love, so I was always trying to find ways to integrate it into the secondary narrative. There’s a few places in the main story of Rise where the horror is front and centre, especially in the arrival of the Deathless. But the main area I felt was ripe for mini horror stories was the secondary narrative, specifically the document chains, and I made it a goal to inject horror into those whenever I could. Those were my favorite parts to write since we could tell little isolated pocket stories, exploring themes or ideas that the core narrative simply couldn’t spend the time on. The document set “Heart of Darkness” is my human, psychological horror story, focusing on the abstractions that combat soldiers sometimes have to make by necessity and extrapolating it into psychopathy. There’s echoes of my interest in that sort of human horror in several of the side tombs as well, as well as some more explicit supernatural horror in a few of the larger document chains. Q. “Baba Yaga: The Temple of the Witch” certainly plays up the horror aspects of Tomb Raider and was your first solo writing gig for the franchise. How did the project come about? There was always a plan for DLC in place and we had an amazing tight and small team of folks already laying the ground work while most of the studio was finishing Rise of the Tomb Raider. They were the team that I had worked with on Lara Croft: Temple of Osiris. They also helped us close down Rise, working on the Expedition Modes and a few other set pieces, but they peeled off early to get prepped for DLC. By the time I awoke from a week-long coma after we launched, they were ready and raring to go. I can’t speak highly enough of that team, and was so excited to work with them again. We started with a couple of loose ideas that had been run through the approvals process that includes market research, and a “Witch”-themed story DLC had a lot of positivity behind it. Once I saw that, and given our game’s setting, it was obvious we had to do Baba Yaga. Q. Were you already familiar with Slavic folklore and, specifically, the legends surrounding Baba Yaga? Did you need to do any additional research when you wrote the story? I was fairly familiar with it as a cultural trope, but I was not familiar with the actual legends. Research is one of my favorite parts of working in this franchise, since it’s not just inspiration but the actual solid grounding we want to connect to at all times. There’s quite a few variants of the legends, but we tried to incorporate the major iconic imagery, such as the famous walking house, or the less famous cup that Baba Yaga flies around in. Q. The idea of a walking hut on chicken legs may have been a tough one to sell to Tomb Raider fans, despite the franchise’s frequent ventures into the supernatural. How did you manage to convince the development team that it could be pulled off successfully? I’d love to take credit for that, but that would be a filthy lie. I was big proponent of the walking chicken house, and got a few pained expressions when I tried to justify it to people because, on the surface, it’s insane and has almost no logical grounding. When we talked to Brenoch Adams, who was the art director on the DLC, he gave me a sly grin and came back with a concept for the chicken house that was the perfect mix of grounded, surreal, and flat-out terrifying. Armed with that image, just about everyone realized that we had to do it. With the explanation of the hallucinations already in place in our story, it just became a matter of finding the real-word grounding underneath the nightmare vision that Lara sees. Having those dual moments for some of the reveals, where Lara sees “the truth behind the myth” was also a great way to echo similar themes from the main game as well. Q. Coming back to the horror aspects of the Baba Yaga DLC. Did you draw inspiration from any other horror novels or films? Absolutely. When we designed the shifting and unreliable spaces of the Witch’s Forest, we talked a lot about The Shining, and how the use of space is subtly distorted to create a feeling of disorientation, as well as the looming oppression of the hedge maze at the end. We only had a few minutes in our maze, so we had to be far less subtle in the space and time allotted, but there’s still a lot of inspiration from the movie (and the book) as Lara is seeing odd fragmentary living memories where they should not be. The subjective and hallucinatory aspect of Lara’s first entry into the Vale draws a bit from Jacob’s Ladder. Lara is doubting her sanity as increasingly nightmarish but highly subjective and personal things are appearing before her. I’m generally not a fan of “jump scares” (I’ve called them “the gas station sandwiches of horror movies” as they deliver the bare minimum of what you need and rarely feel pleasant or satisfying) but I do love that we did one, and I think it comes at a time where we’ve lulled you into a sense of eerie surreality, as opposed to outright fright. There’s a few direct Lovecraft references, including a document set called “Dreams in the Witch House”. Given the format of the documents in the DLC, where the writer is almost usually dead or dying, I drew a lot from Lovecraft’s epistolary horror style, where the character is writing down what he’s experienced, moments before he dies, and especially playing with the notion of an unreliable narrator who’s less aware of the reality of his situation than we are. For the collectible documents that comprised the backstory of some of the DLCs main characters, I really tried to draw from some of the real-life research we had done on Russian Gulags for the main game. There’s really not much more horrifying than actual history, sometimes. I wanted to make sure those elements were played more honestly and human than the haunted forest vibe of the gameplay, because I think they deserve to be treated with respect and reverence for the real victims. 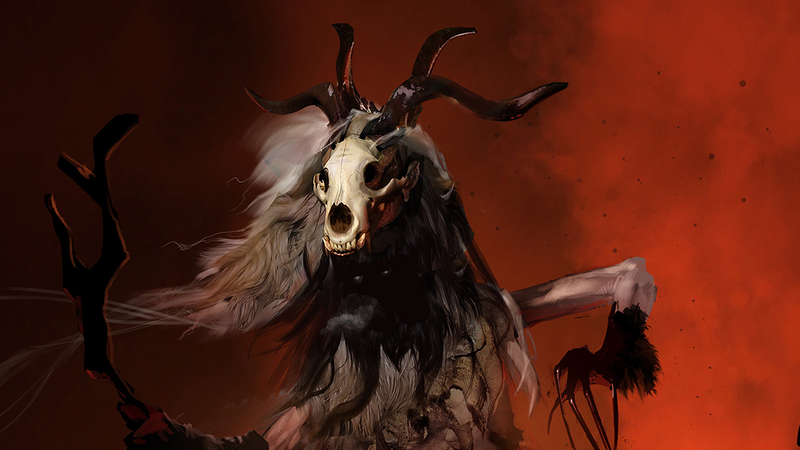 One of the visual elements that came up early that I loved was the deer-horns on skulls, which I think came from an early piece of Bren concept art and is just delightfully creepy in some ineffable way. 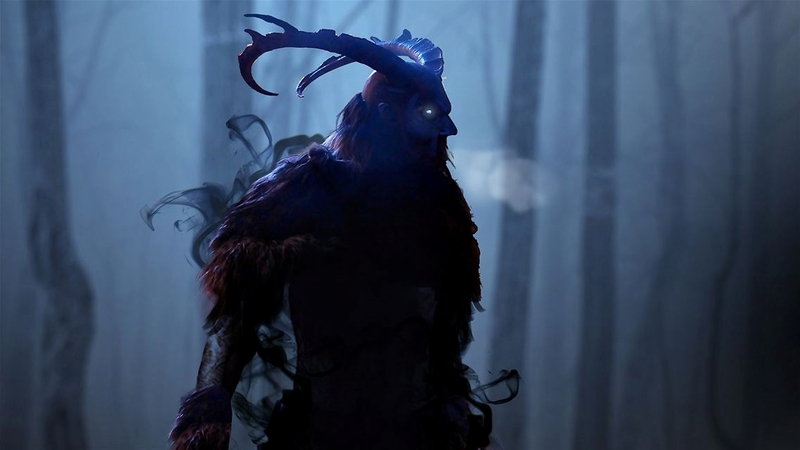 I wanted to push that as a unifying visual theme, so I got a bunch of images from show Hannibal, specifically of the Wendigo creature. At the time, I had never seen Hannibal, but the images were so compelling, I ended up watching the entire show later, and it’s become one of my favourite pieces of media, ever. Q. Do you have any interesting anecdotes about the work that went into creating “Baba Yaga: The Temple of the Witch”? Any behind-the-scenes information you can share with us? In any game development, you come up with far more ideas than you can deliver on, so there was a lot of early stuff in Baba Yaga that we had to abandon in order to really sell what worked. One that I really miss – and we got as far as concept animation – was a unique type of squeeze-way, which are those narrow gaps that Lara can navigate through. In the real world, without the hallucinations of the dreaming blossom, it would have been a gap in the rocks that was filled with tree roots. When Lara first saw it, it would have appeared as a gap lined with severed arms. From a distance, they would have all been spasming and flailing with jerky seizure-like motions, but when you approach they would snap toward you at the same time, all beckoning with outstretched fingers. I think it’s inherently more frightening when you are invited in by the horrors, rather than pushed away. All the dialogue that Lord Croft says to Lara in the maze is actually re-purposed from the main game. It’s cut out of context mostly from his audio diaries and processed in a different way, so it feels new. There’s a really easy backwards justification, that this is all in Lara’s head, and it’s just echoes of things he’s already said, and I think it really works. I found some really great sentence fragments that in the context of the maze take on a whole new meaning, and I love that he whispers “There is a truth behind all myth” to her, like even her subconscious version of dad is trying to talk her out of it. Between “For me… it is too late”, or the sublimely creepy “Someday, you’ll understand…” that he whispers right before he shoots himself, it felt like discovering buried treasure. We got so damned lucky. The language the Witch speaks is entirely made up, both by me and, fictionally within the game, by the Witch herself. There’s a couple of little words or syllables in there that are cheeky references: She says “Dagon” quite clearly at one point, as well as something that sounds like “Fin de la Terre”, but what was more important was just getting something that would sound scary. I think more than a few team members caught me muttering guttural, choppy syllables at my desk, trying to find a rhythm that felt threatening and not at all silly. I had a lot of anxiety about how the end result would sound, but our Baba Yaga actress, Jeannie Elias, listened to my nervous explanation, and said: “Yeah, sure I can do that.” She let loose with the scratchy, roaring, percussive delivery you can hear in the game, and I felt like a weight fell off my shoulders. It’s so damned good. Finally, Nadia. I love Nadia. Like Carter Bell, she’s one of the contributions to Tomb Raider that sprung mostly from my head. I knew I wanted a character that played off of Lara’s rapidly maturing sensibilities and serious demeanor, but wasn’t a comic relief character. So, Nadia quickly took shape as someone who never felt fully at home in Remnant culture, being a child of two worlds, and someone who had a similar drive for exploration and adventure as Lara, all with a childlike optimism and naiveté. She’s so easy to write for me, because I just have to channel my daughter, who’s the primary inspiration for the character. A large version Bren’s concept art for Nadia still hangs in my daughter’s room. When we had Ashly Burch read for the part, it was a perfect fit. She sounded just like the voice in my head, or one of them at least. I was so glad to bring Nadia and Ashly back in Cold Darkness as well, where she got a little more room to be occasionally arch or silly. Q. And, lastly, are there any other myths you’d like to see the Tomb Raider franchise explore in future? Since I’m no longer at the Crystal Studio, I’m excited to see where the franchise goes as a player. I’ve been a fan of the Arthurian legends since childhood. More recently, thanks to Bernard Cornwell’s incredible Warlord Chronicles, I’ve really been interested in the notion of a more “accurate” version of the Matter of Britain, as a Dark Ages story of living in the ruins of a fallen Rome. However, that’s about the most overdone legend in popular culture, explored in hundreds of versions across various mediums. In that same sort of milieu, I’d love the legends surrounding Charlemagne and Roland, or the mythical city of Ys. Something that I loved about the 2013 reboot was my lack of literacy in the myths of Yamatai. It felt like I was sharing in the act of discovery by learning the myths as I played, including visiting Wikipedia between play sessions to learn more about the legends, so I think it’s a better fit for Tomb Raider to explore lesser-known myths, at least to audiences well-saturated in Western mythology. I personally would love to play a Tomb Raider game based on Inuit myths, intertwined with the history of polar exploration. Cameron Suey lives in California with his wife and two children. He works as a writer in the games industry, most recently on “Rise of the Tomb Raider.” His short fiction has appeared on the Pseudopod Podcast, in anthologies including Shadows over Main Street, and was featured in the first issues of Jamais Vu and Flapperhouse. He can be found on the web at thejosefkstories.com and on Twitter as @josefkstories.